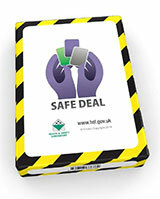 As an employer, you are required by law to either display the HSE-approved or to provide each of your workers with an equivalent pocket card/leaflet. 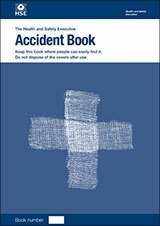 The Accident Book is a valuable document that organisations can use to record accident information. 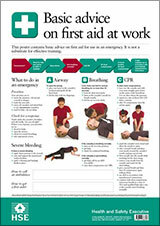 It can be used to record details of injuries from accidents at work that employers must report under the Reporting of Injuries, Diseases and Dangerous Occurrences Regulations (RIDDOR). A number of statutory instruments known colloquially as the six pack came into force in 1992. 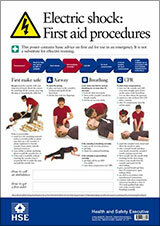 These safety regulations and guidance be purchased as a pack of 6. 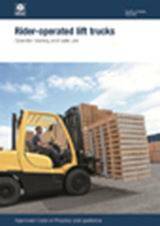 Following the withdrawal by HSE of L21 and pending its replacement we are now including the nearest equivalent guidance, HSG65, in the six pack. 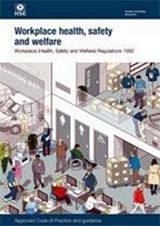 This pack brings together two popular titles that provide advice to help you identify, assess and control the activities that might cause harm in your business. 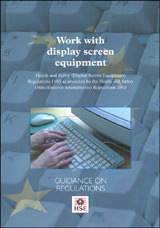 Simple, straightforward advice is aimed at those starting up or running a small business, or those who have been appointed as a safety representative in a larger organisation. 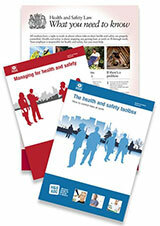 Whatever line of work you are in, this pack will help you run a safe and healthy workplace. 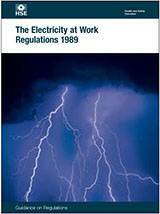 The purpose of this guidance is to highlight what can be done by dutyholders to achieve electrical safety compliance with the duties imposed by the Regulations. 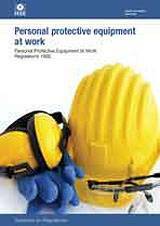 It is relevant to all work activities and premises except certain offshore installations and particular ships. 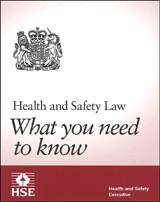 Of particular relevance to dutyholders, it will also be of interest and practical help primarily to engineers (including those involved in design, construction, operation or maintenance of electrical systems and equipment), technicians and their managers. 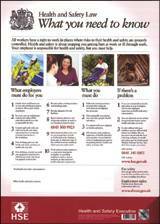 Films that can help you reduce risks at work. 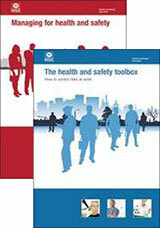 Health and safety is not exactly a laughing matter but this DVD uses humour to get serious messages across. 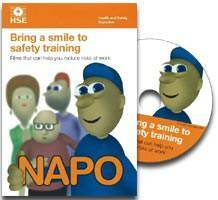 A series of short animated films feature the character NAPO coming to terms in his own unique way with health and safety in the workplace. This DVD includes three films previously released on video, together with two new titles. 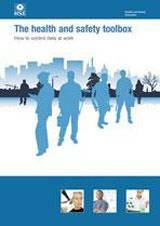 These checklists are designed to help the 'responsible person' to audit the arrangements in place to control legionella in the water systems in your premises. 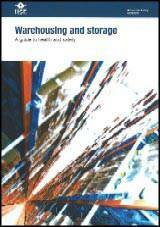 It also checks the knowledge of those who play a role in controlling the risks from the system, for example water treatment contractors.